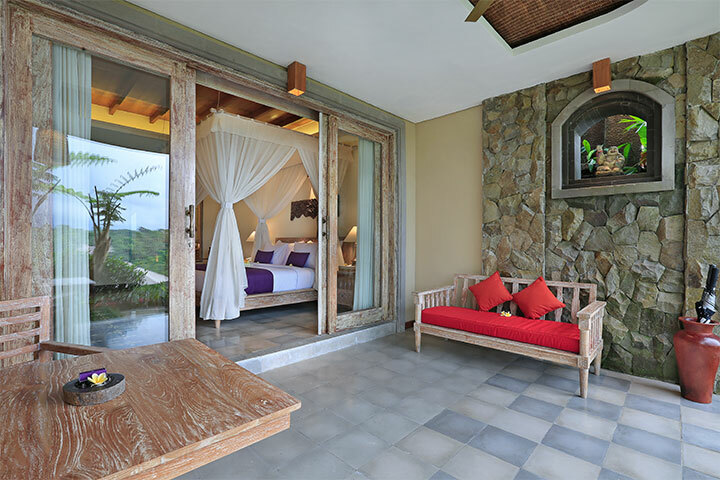 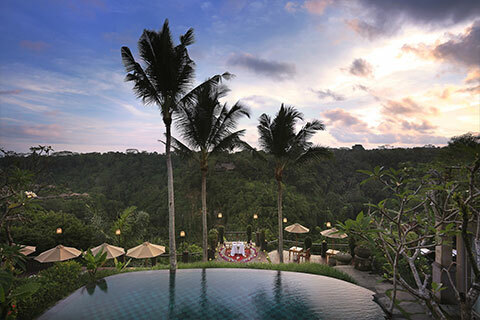 Pramana Watu Kurung is a boutique resort with just 18 suites and villas positioned on either side of a wide landscape pathway that reflects the ambience of a small community. 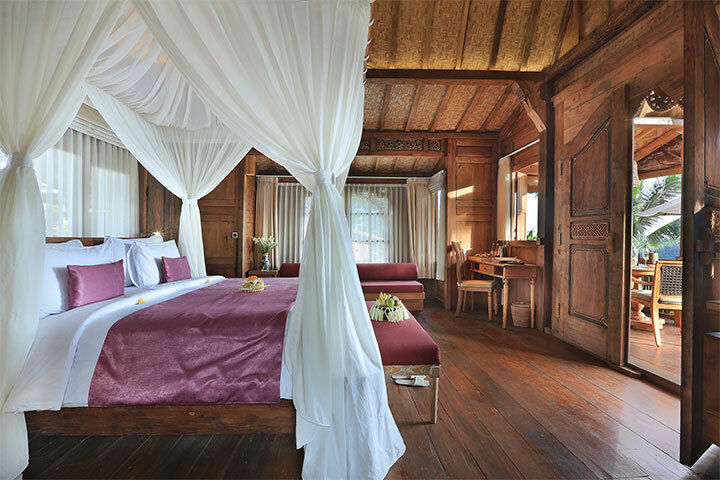 Each wooden unit has its own distinctive character with bespoke furnishings, hand-carved embellishments and personal touches to enhance overall quality of stay. 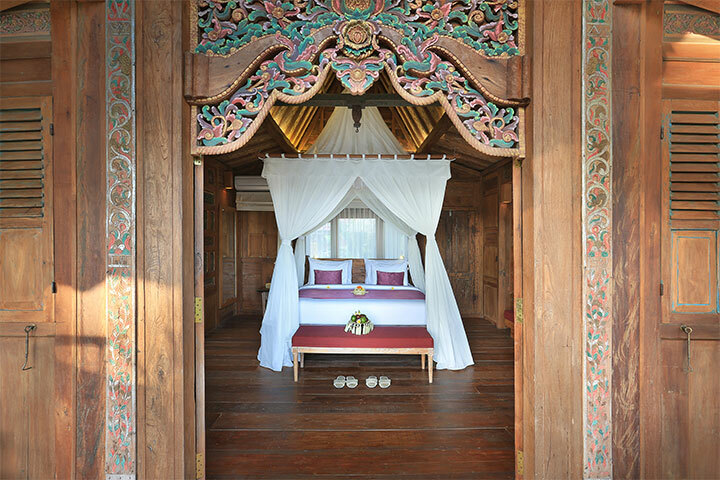 Meticulous attention to detail highlights local creativity and a style of traditional workmanship that is still relevant in today’s modern world. 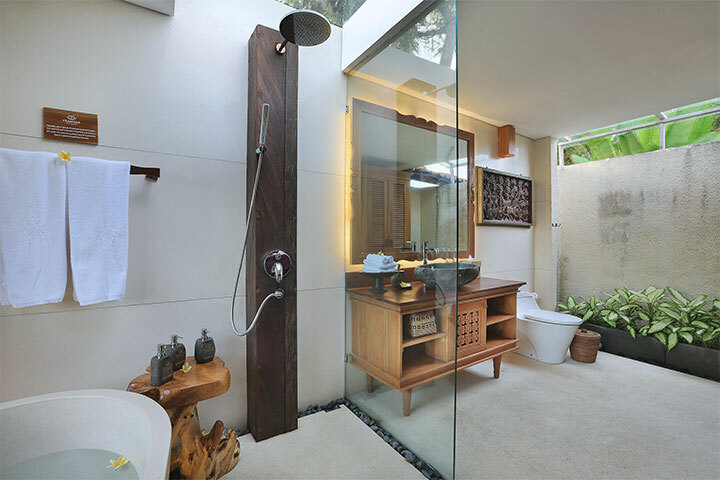 Despite capturing the essence of a bygone era, each accommodation category makes comfort and convenience a priority through the inclusion of essential home amenities. 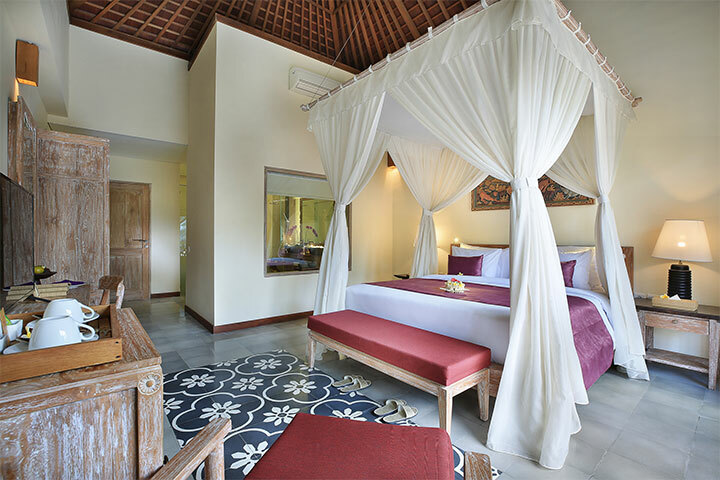 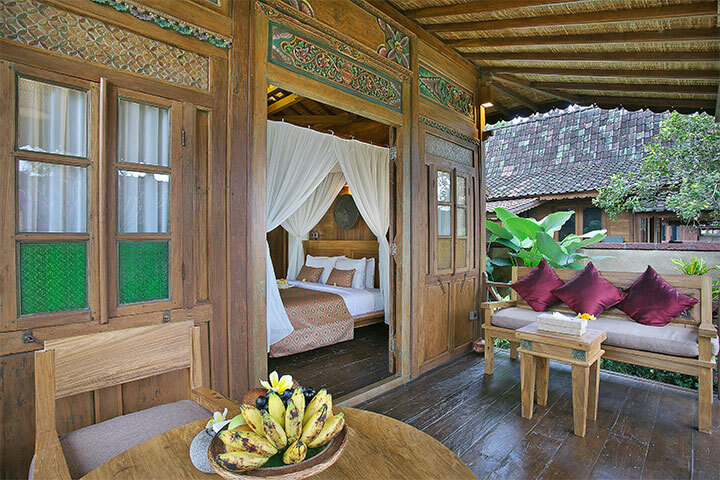 Our suites are carefully designed with authentic Balinese style using local stones, bamboo and with a collection of hand carved white washed furniture to reflect the warmth Balinese nature, and the beautiful gardens set up that extensive use of local flora with touch of luxurious artistic soothe to embrace the nature and the sense of classy heightened relaxation. 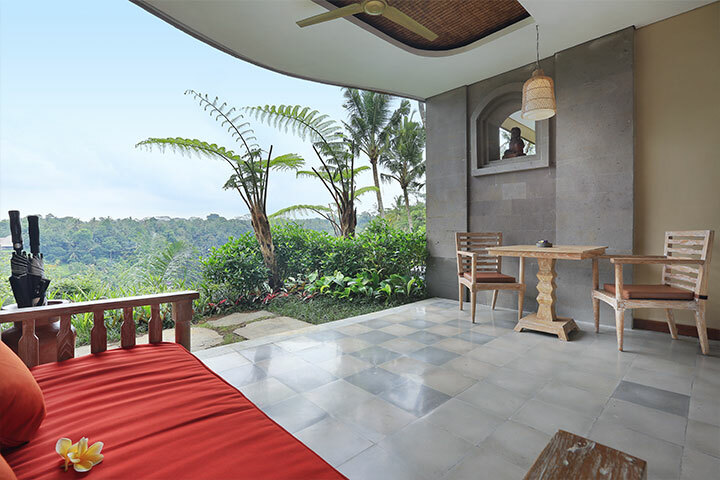 It comes with private terrace and private dining table will invite your truly calm-self. 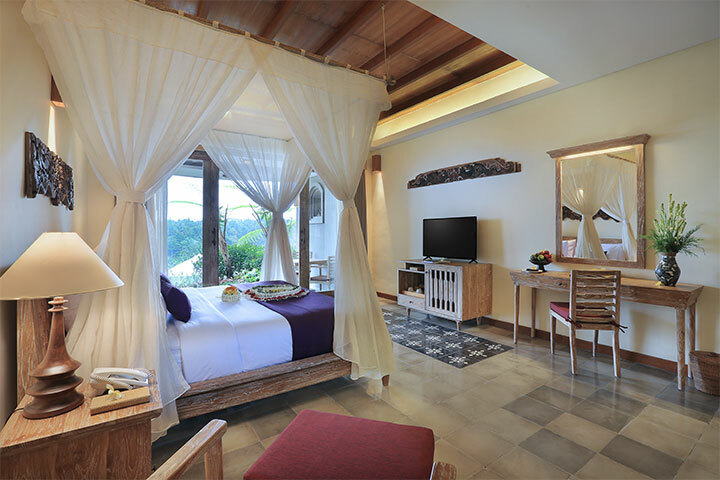 As the location of the resort that poised above the magical Ayung river valley, this elegant suites placed wonderfully overlooking the magical valley has been designed to allows you relish the Ayung Valley’s exclusive sun set right in the edge of your day. 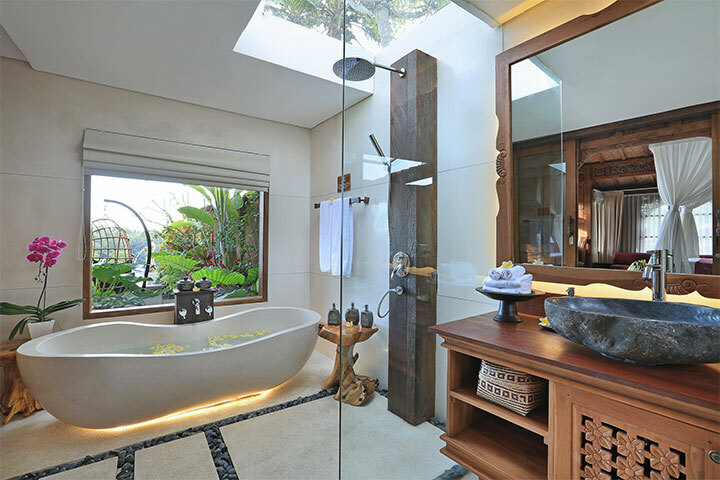 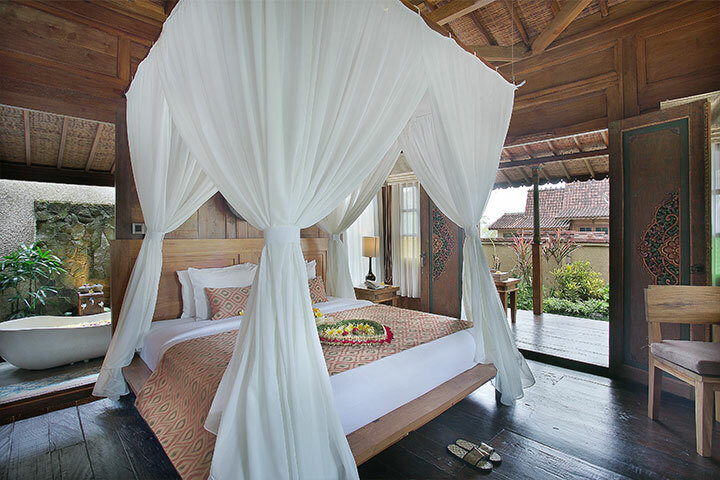 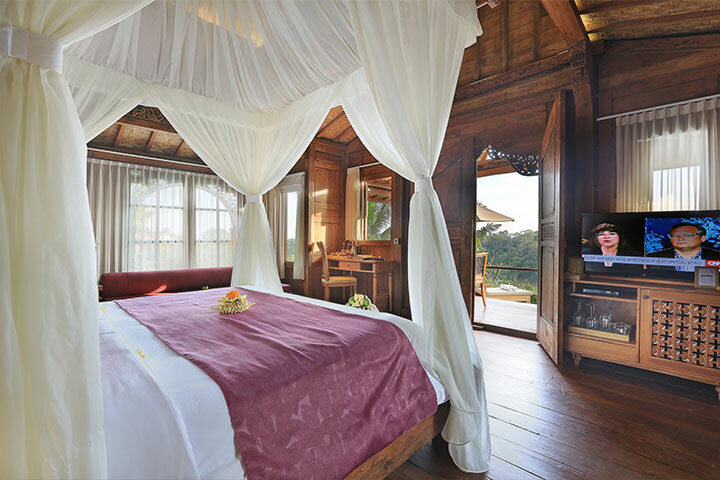 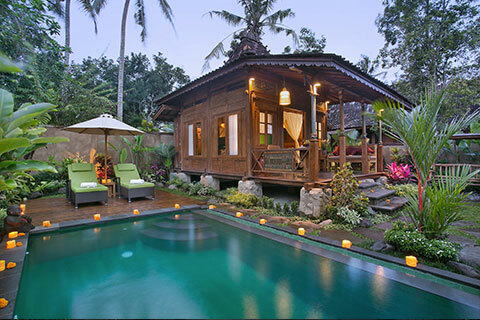 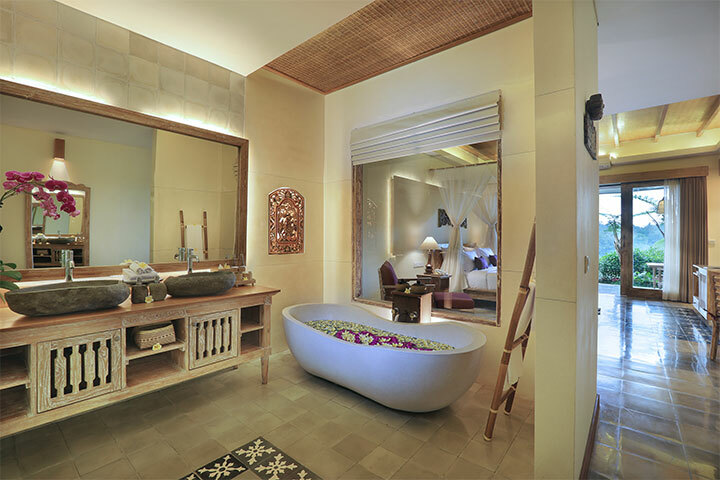 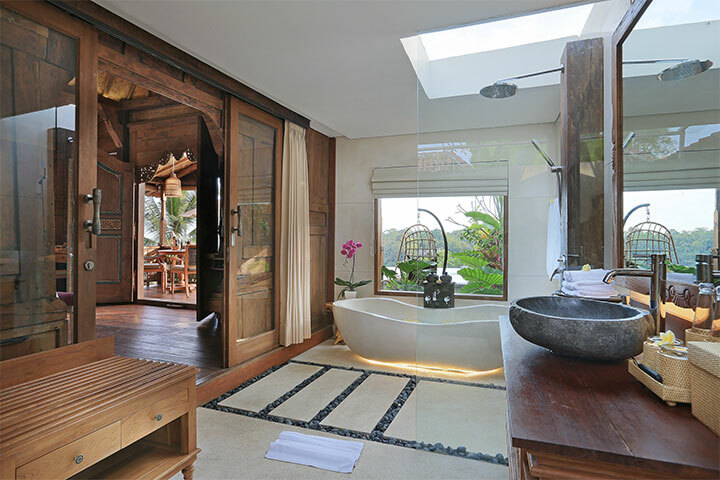 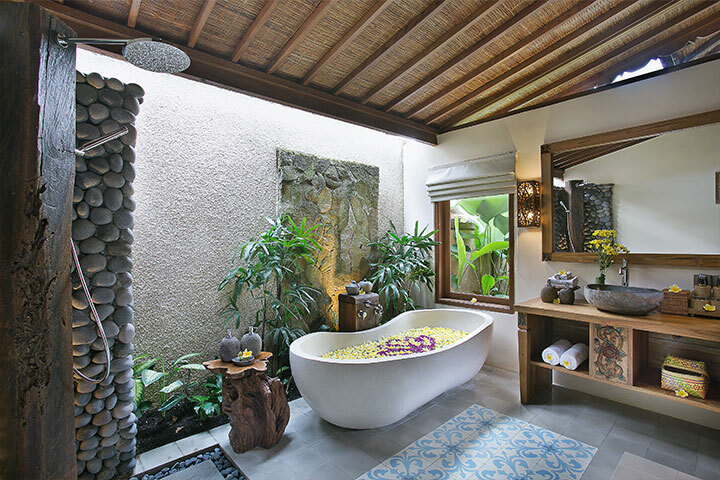 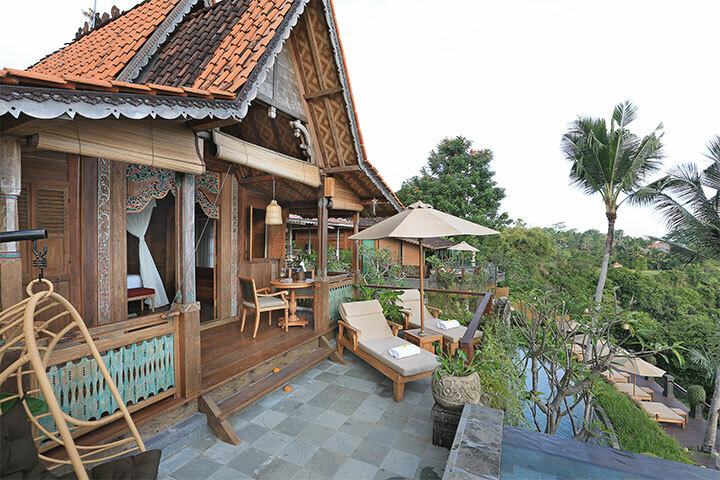 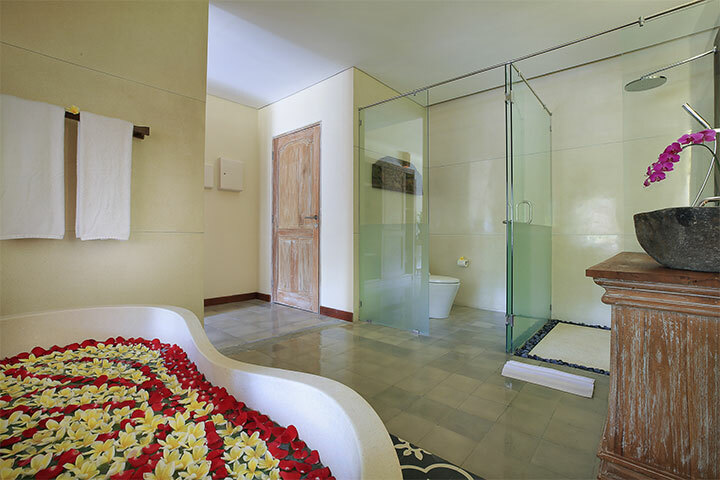 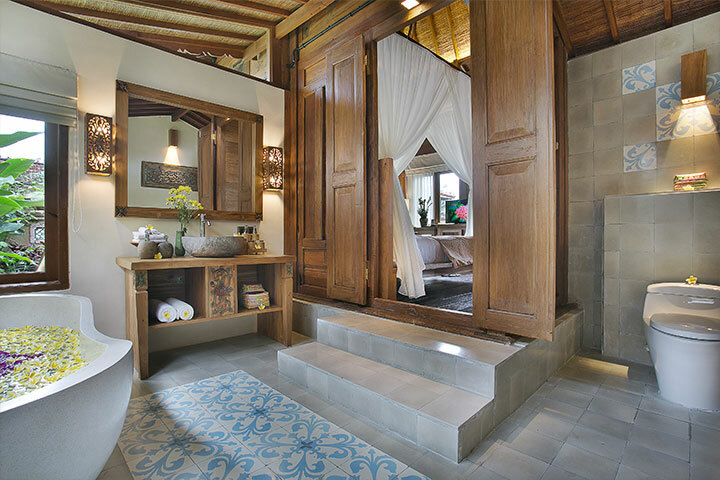 Through its material from the old wooden Joglo, our wooden villa is designed to honor the Indonesian rich artistic heritage, the wooden villa is traditionally decorated, while the generous bathroom is equipped with magnificent shower and bath. 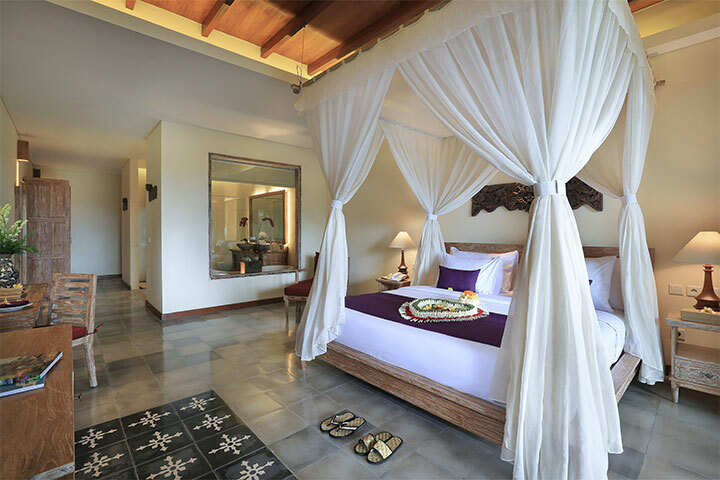 The cozy balcony and private pool offers the endless personal paradise devoted to fulfill your lifetime vacation dreams. 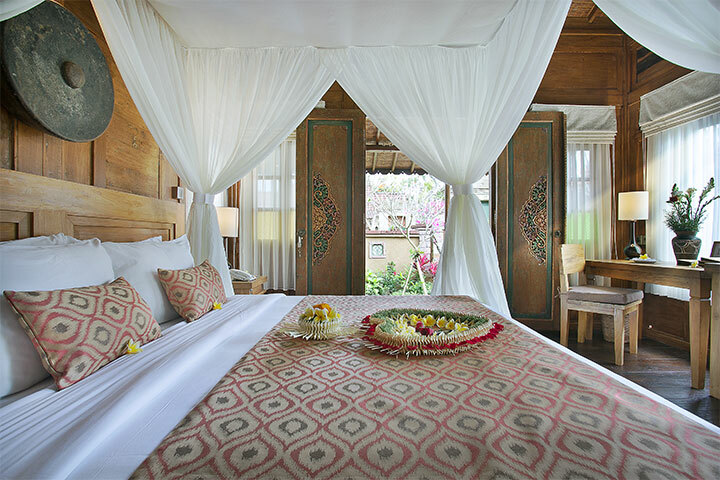 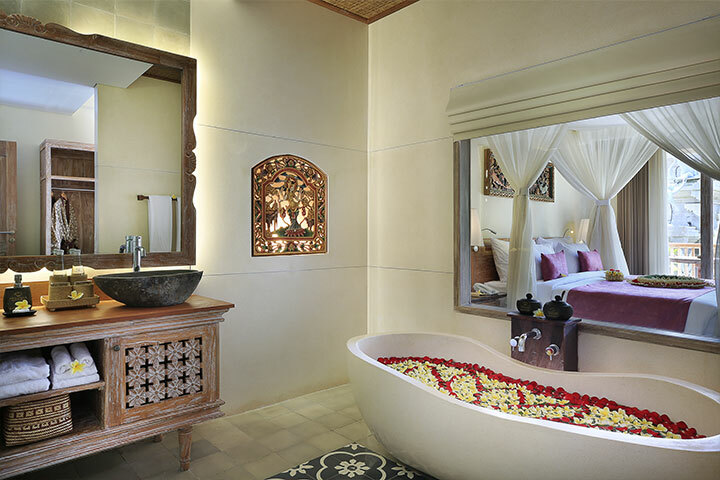 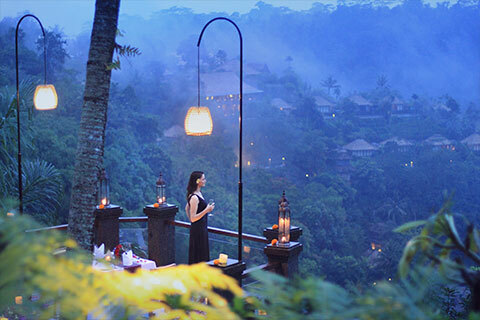 This Royal Ayung is impeccable designed and appointed right on the edge of the magical and misty Ayung river valley to capture the essence of the beauty of the premium Ubud’ nature. 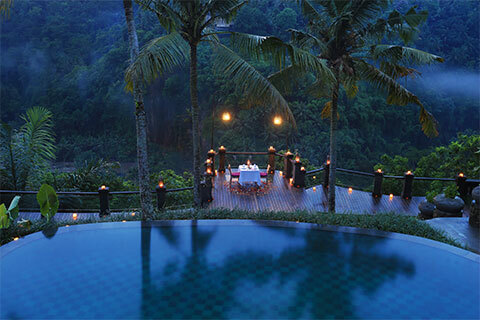 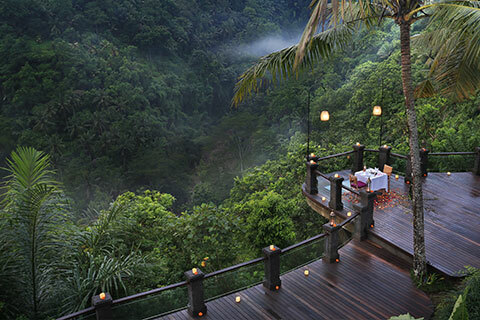 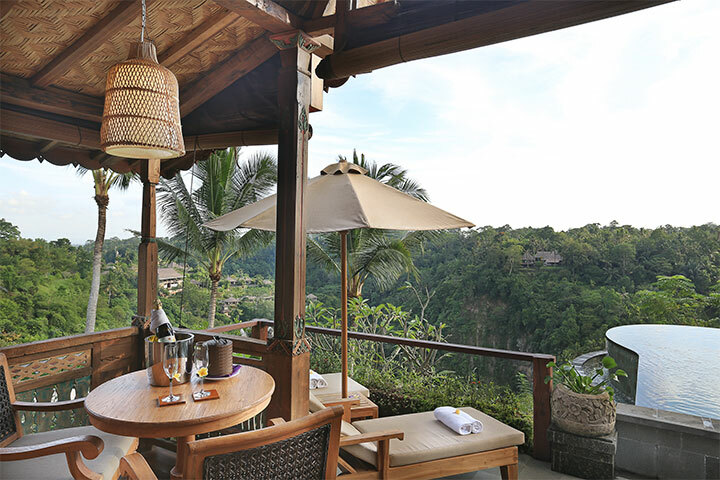 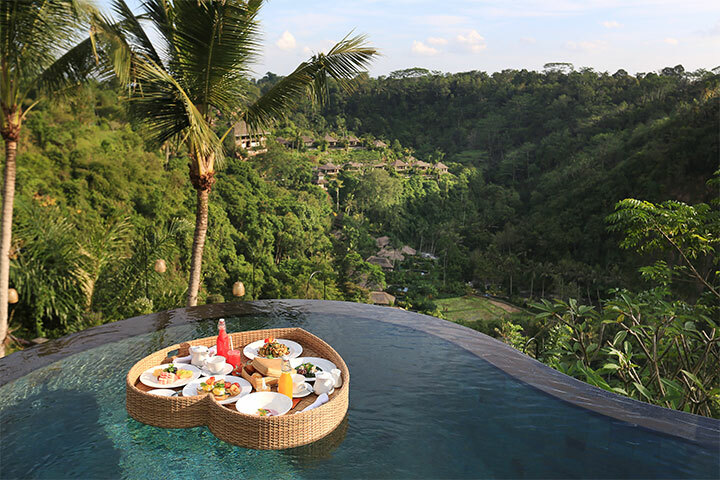 This ultimate Royal Ayung offers the most stunning sunset and over look to the valley, boasting with large and luxury outdoor living area, spacious bathroom, and with furnished canopied kind size bed, its perfect to appreciating the magical location on the edge of the Ayung valley cliff.